Our new rolled ice cream machine is an amazing and versatile machine that will create rolled ice cream, custom frozen cocktails and custom sandwich cookies in front of your customers! Don't be limited to one dessert! Our TripleFreeze rolled ice cream machine gives you the ability to elegantly make a variety of fun, custom desserts in front of your customers. 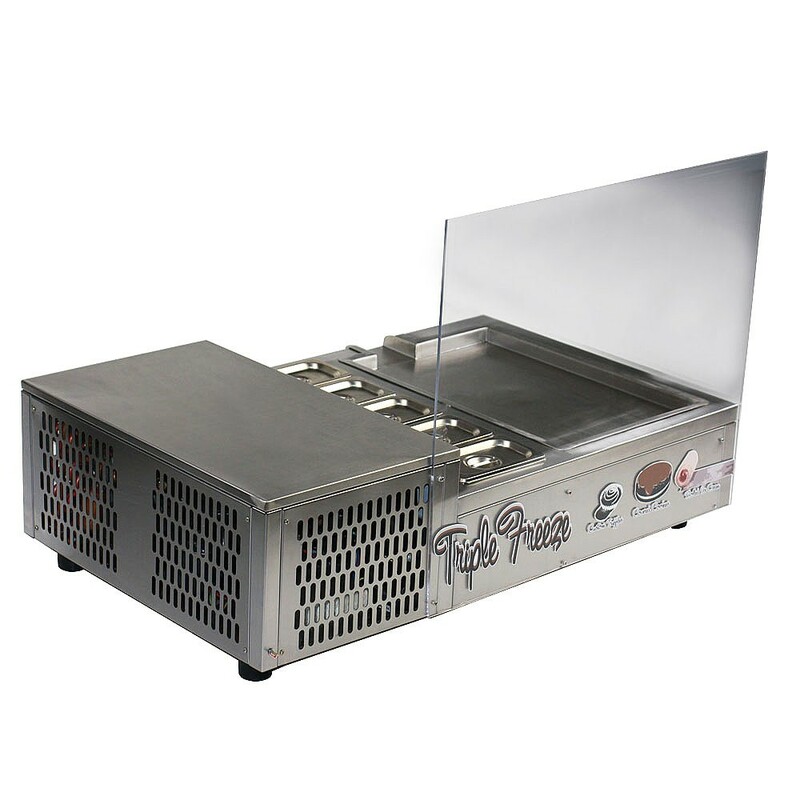 Whether you are a country club making custom frozen cocktails, making custom sandwich cookies at a fair or have a small kiosk making rolled ice cream, you've found the perfect machine! 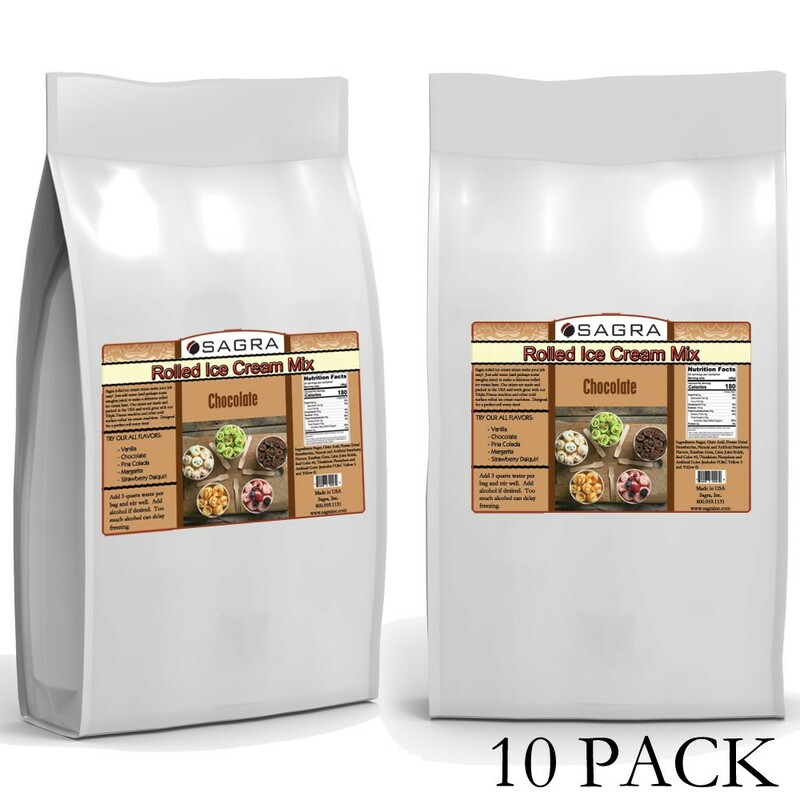 Rolled Ice Cream Mix - Vanilla - 20 lbs. 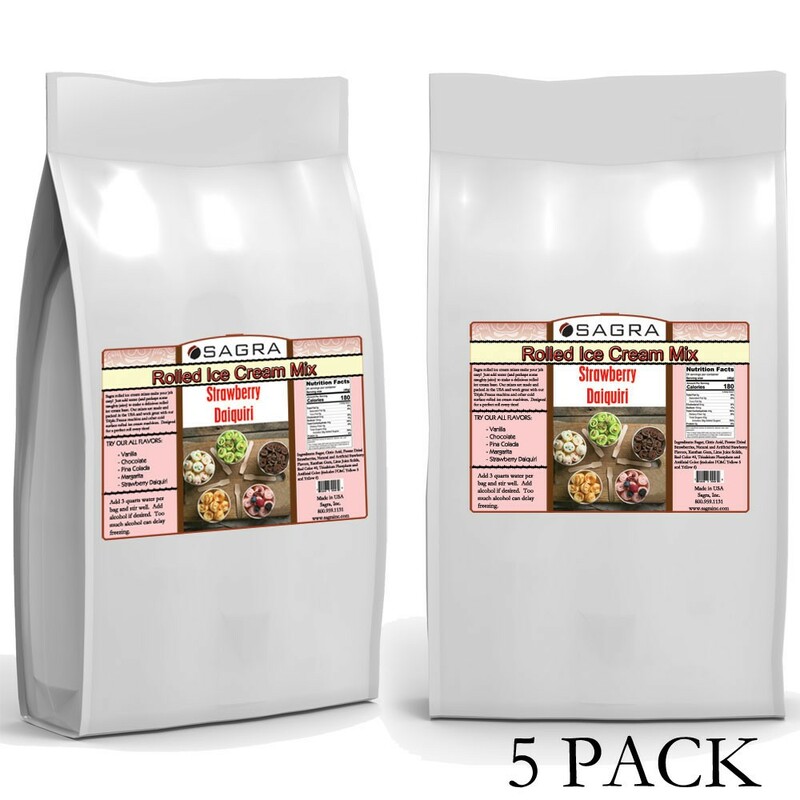 Rolled Ice Cream Mix - Chocolate - 20 lbs. 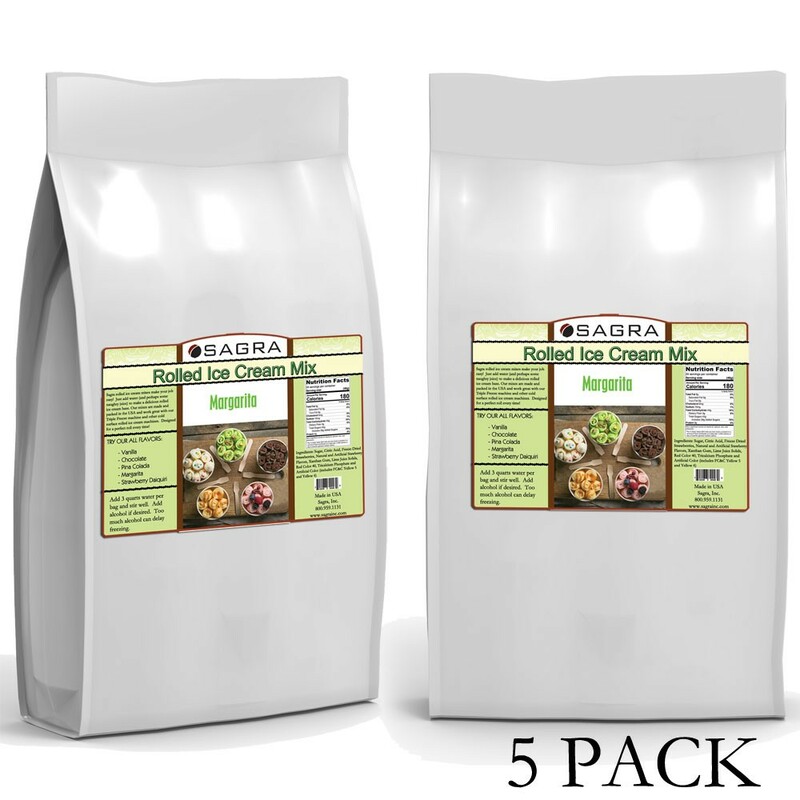 Rolled Ice Cream Mix - Margarita - 10 lbs. 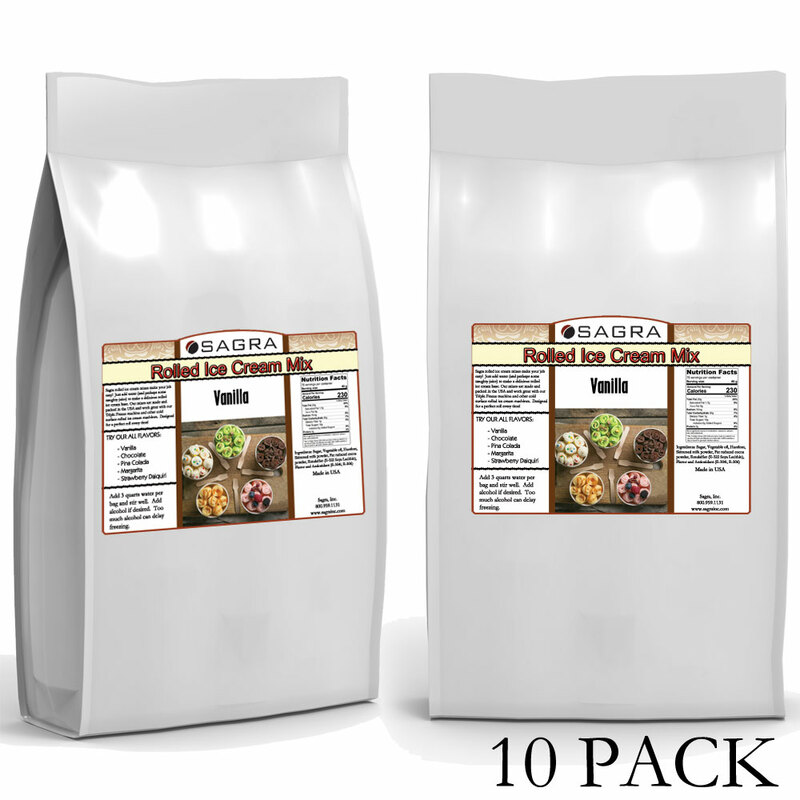 Rolled Ice Cream Mix - Pina Colada - 10 lbs.